If you are looking for a memorable gift for your parents, family members or friends, who will be happy to receive such an original piece of art as hand-drawn portrait drawing of themselves, then you can commission Photolamus to draw a personalized portrait drawing of your group of people, who will be drawn in colored pencils style on A4 or A3 paper of your choice. 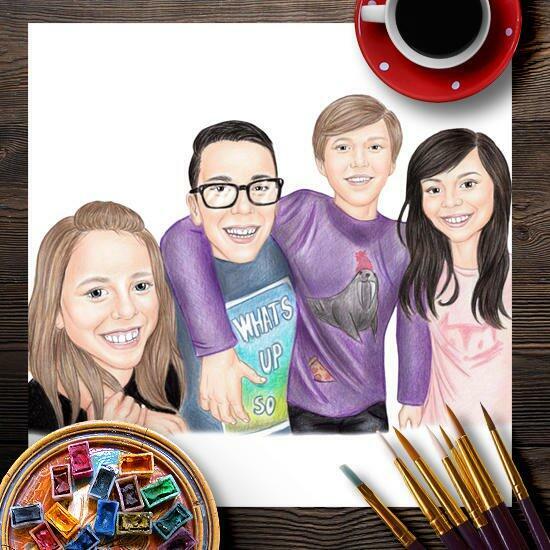 Group portrait drawing will be custom-made and delivered within 20 days and can include any amount of people of your choice. 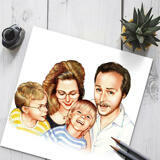 Portrait will be looking as a ready-to-be-framed picture, so you can find any photo frame in advance. 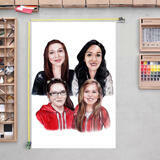 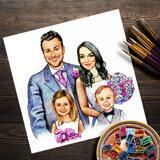 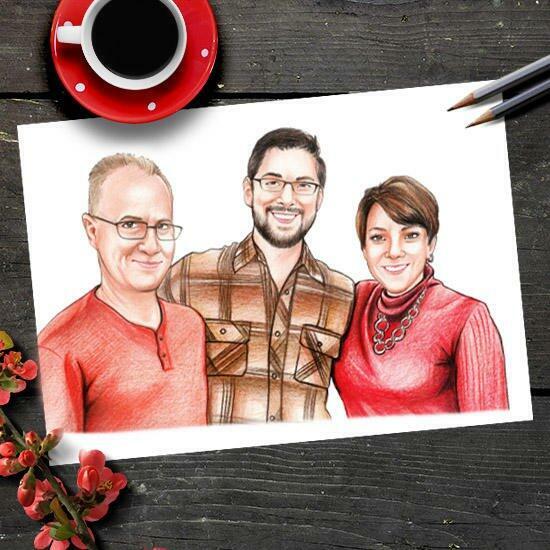 Group Portrait Drawing is a popular gift idea for dearest people like grandparents, godparents, best friends and for many others upon your wish, who will preserve this portrait for many years. Before we start drawing a custom portrait with colored pencils, please mention all of your requirements, ideas and wishes in advance below. 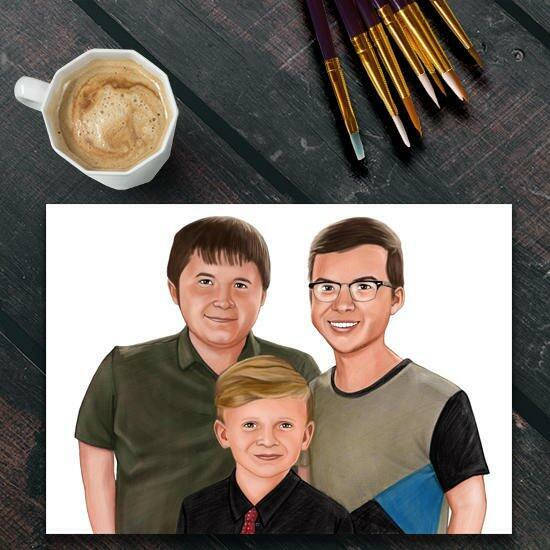 You can also submit us with necessary photographs of people and other details, which you would like to include into a portrait. 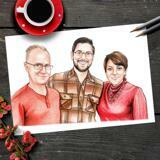 Before the final shipping of your original portrait on paper, you will get its digital JPG File on Email for approval. 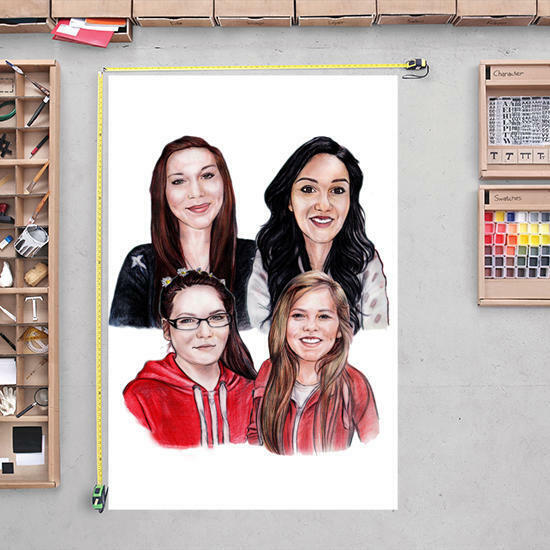 Original drawing can be shipped to any location around the world.